Neryn has finally found the rebel group at Shadowfell, and now her task is to seek out the elusive Guardians, vital to her training as a Caller. These four powerful beings have been increasingly at odds with human kind, and Neryn must prove her worth to them. She desperately needs their help to use her gift without compromising herself or the cause of overthrowing the evil King Keldec. Neryn must journey with the tough and steadfast Tali, who looks on Neryn's love for the double agent Flint as a needless vulnerability. And perhaps it is. What Flint learns from the king will change the battlefield entirely--but in whose favor, no one knows. 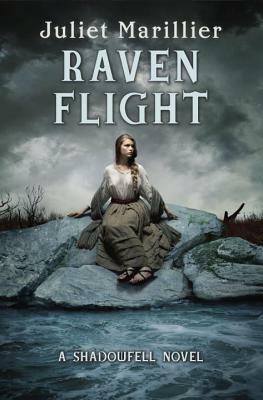 JULIET MARILLIER is the author of several highly popular fantasy novels for adults, including the Sevenwaters Trilogy and the Bridei Chronicles. She is also the author of the teen novels Wildwood Dancing and Cybele's Secret.